* Total number of reviews and star-ratings are based on data collected during the time period Wahl Family Heating, Cooling & Plumbing has been using the ReviewBuzz system and may not directly match the data found on each public review site. We have had an annual maintenance contract with Wahl since they installed our furnace/air conditioner 8 years ago. We could not be happier with the product and service that we have received during that time from the office staff to the service techs. When we need another furnace or air conditioner, we will be calling Wahl. Brad was thorough, professional and quick. Wahl is a great company to work with. Patrick Z has been to my home to evaluate my water heater as well tune up for furnace. Both times he explained everything thoroughly and informed me of all options available. Iafter he left I felt educated, not confused. And he provided written ( and legible! )explanations of all the work done as well as pricing for future services if needed. Very satisfied customer. Waking up to no heat on a cold, December day is not a good way to start the day. However, Wahl dispatched Brad pretty quickly. Even after he diagnosed the root cause, and replaced the broken part, he continued to perform a complete analysis to ensure that there were no other issues lurking. Throughout his visit, he kept me apprised of his progress, and any potential costs. Love it when there are no surprises! 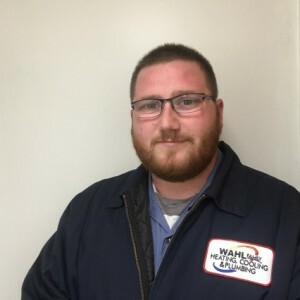 Brad's responsiveness and professionalism are reasons why we use Wahl for all our Heating and Cooling needs. Always pleased with the services we’ve received from Wahl Heating, Cooling & Plumbing over the past 30+ years! Today’s “Furnace Tune-up” was yet another feather in their hat. Our Service Technician today was Brad. He was very knowledgeable in HVAC and very thorough in explaining the many readings he had taken as part of the tune-up. Very professional, and very polite. 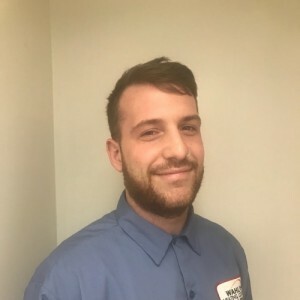 We will be requesting Brad for our next Tune-up/Maintenance visit! Edward L.
Pat Z. is our regular guy—and we love him. This installation, however, was executed by a different team (Jake & Alex). They were professional, courteous, neat, and a pleasure to have working in our home. They took time answering my questions and—so far—the new unit is working very well. Thank you. We purchased a Mitsubishi mini-split Heater/Air Conditioner system from Wahl about 20 months ago. It worked well—both in the summer and in the winter—but seems to have had a slow leak of refrigerant. 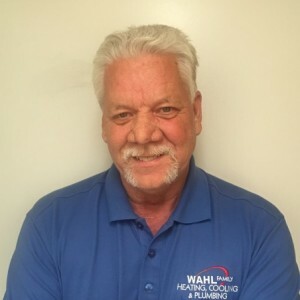 Service Tech (Extraordinaire), Pat Z., identified a "fissure" in the original factory equipment and Wahl replaced the entire unit 20 months into our ownership. Fortunately, we had the extended warranty coverage—which everyone should purchase! Pat Z. is an excellent technician (we always request him). He is smart, competent and very professional. Today, we had two installers (Jake & Alex) who switched-out the unit. Both men were professional, courteous and left the area clean and tidy. One would not even know that they had been here (except that they left us with a new HVAC unit). They were able to answer my questions and were a pleasure to have working in our home. They even put-on booties over their work boots before coming into the house (thank you). 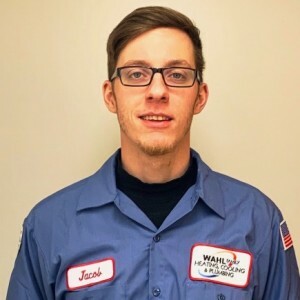 Pat Z., Jake and Alex are the type of employees that make Wahl my go-to HVAC and plumbing service provider. Thank you, Wahl! Please see my original review on Google. Brad, just as he has in the past, checked our furnace and air conditioner and thoroughly his observations. I felt comfortable with his recommendation of filter replacement. The entire team did a great job from start to finish. This was a relatively large project and my wife and I are very happy with the results and quality of service that we received. My Son was pleased with his installation. Great workmanship. Hope the product line lives up to your standards. Excellent Experience with this company. Very professional team. 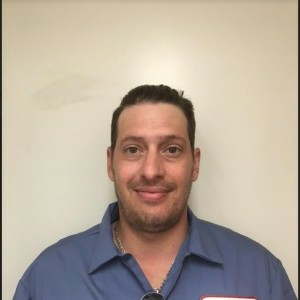 Tyrell the Service Technician did a great job diagnosing the problems surrounding one of our furnaces and recommending the appropriate solutions. Bob and Pat from the install team did a fantastic job setting up our new system. Couldn't be more pleased with these guys. Thank you! Great experience. Les did a great job explaining EVERYTHING! He spent as much time as we needed , answered all our questions completely, and thoroughly explained all areas of the cooling system we were interested in. Always great service from Wahl. Today, Tyrell was the service tech sent to my home. He is top notch! I asked him several questions about the service he performed and he explained everything in detail. He was very courteous and knowledgeable. 5 stars to this great tech. Tyrell was a very nice guy. He was efficient and did a good job. Price is a little high. I guess that is the only reason I didn't give a five star rating. Tyrell at Wahl came to do our annual free tune-up service on the air conditioning unit we had installed last year. He was prompt, knowledgeable, professional, and very nice. 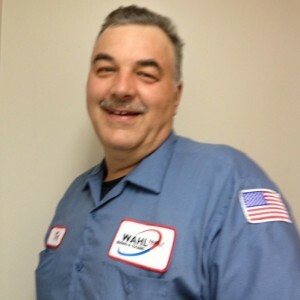 Customer service is always a top priority at Wahl Family Heating, Cooling & Plumbing. Our BBB Membership A+ rating is like a badge of honor as we continuously strive to provide the best experience for our clients.